Norvan Tan isn’t your typical 21-year-old kid. At the tender age of 18, he had already ventured into building his own companies, dabbling in five different businesses ever since. He is currently a final-year student at Republic Polytechnic, pursuing a Diploma in Healthcare Administration. The course of study clearly had nothing to do with business though, so why the keen interest? “To be frank, I was a troublemaker in secondary school and often had disciplinary issues. I didn’t achieve good results for my ‘O’ levels, so I didn’t have much course options to choose from,” he said. But Norvan is a good example of how passion is often more important than your academic qualifications. He often reads up on business stories, and listens to motivational talks on a regular basis — his favourite speaker is Gary Vaynerchuk, a serial entrepreneur and the CEO and founder of VaynerMedia. True to Ma’s words, Norvan feels like he is having it rough as a rookie entrepreneur, but he firmly believes that brighter days are ahead for him and his business. “Juggling between the two meant that I have lesser time to spend with my family and friends, and I often have sleepless nights. The load of responsibilities placed upon my shoulders can sometimes be overwhelming,” he lamented. Norvan’s first business venture dated back in 2013. Snapback caps were all the rage back then – everyone was wearing it, and Norvan himself was obsessed with the trend. Riding on the hype, Norvan decided to set up an online business selling such caps on a pre-order basis. This let customers get the products they want through advance reservations; and as a retailer, the best thing about pre-orders is that they guarantee a certain amount of sales and revenue as you would have already sold the goods before they are even made available. However, as the trend died down, business blew over too. The following year, Norvan established a photobooth service for events as he had a passion in photography. All he needed was a good camera to kickstart the business, he thought. But he soon realised that other photography companies were offering the same service at a competitive pricing. To add fuel to the fire, these companies were employing the use of portable machines with built-in photography software instead of using traditional point-and-shoot cameras. He soon gave up on the idea and moved on to another business plan. That very same year, he dived into the food industry, selling Mango Sticky Rice – a popular Thai dessert – to event caterers. He improvised on the dessert and served it in smaller portions like a cocktail, so it will be easier for people to consume. “Unfortunately, I was turned down by several food catering companies as most of them required a central kitchen. What’s more frustrating is that one of the companies even stole my idea and added it to their menu,” he said. Having experienced two failed businesses in a year might be an indication for some to simply call it quits. But Norvan never knew how to give up. That same year, in 2014, he decided to delve into the footwear business specialising in flip flops and sandals called Blackout SG. When asked why he chose such a vertical, he said that such footwear is a necessity for everyone, especially Singaporeans. 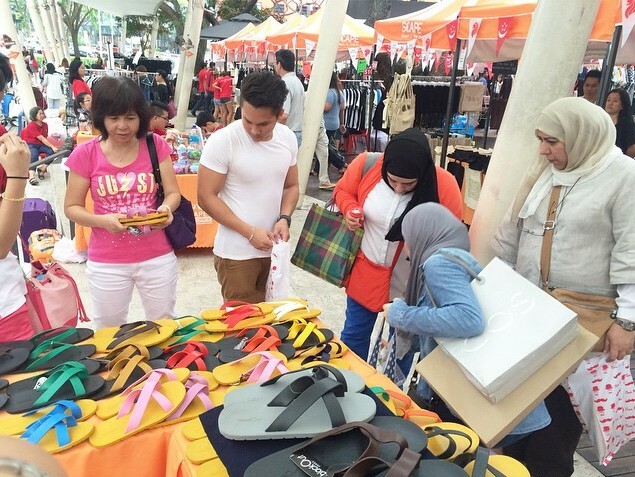 The booming business of the likes of Crocs, Havaianas and Birkenstock was a testament to the huge demand, he added. With the help of his friend who manufactures footwear, and six months worth of savings later, he brought in his first batch of shipment into Singapore. He started off retailing his merchandise at bazaars such as Orchardtuchak and the weekly ones at Scape every weekend. Norvan was often left exhausted, especially when there’s school the following day; but the good response from customers more than made up for it. 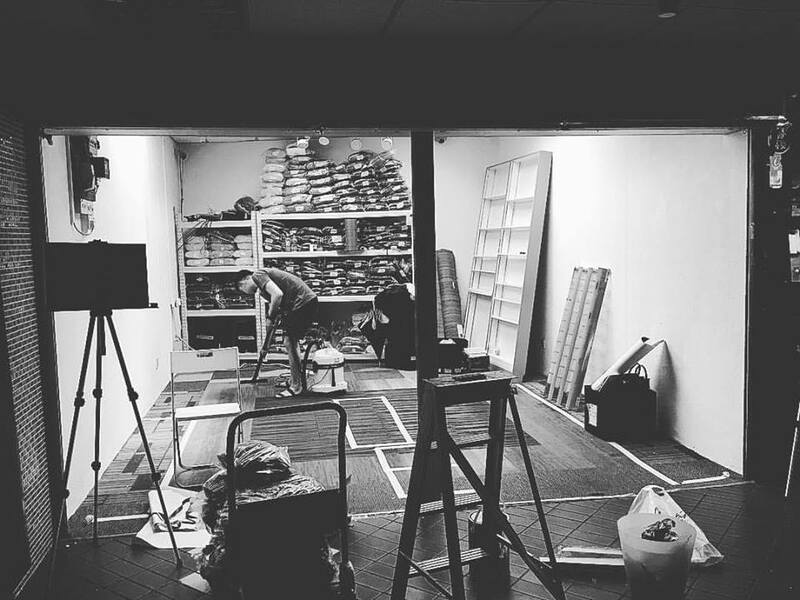 Sales increased by nearly 200% and this triggered the decision for the brand to move into a physical space. The business start-up capital – amounting to approximately $5,000 – mainly derived from his earnings from working part-time, which ranged from waitering and bartending, flyer distribution, to more labourous jobs such as house moving for a transport company. Many entrepreneurs would choose not to risk pouring in their capital to set up a retail store, considering the gloomy retail climate in Singapore right now. However, Norvan sees it as an opportunity to score “cheaper rentals” from landlords; and snagged a decent-sized store at City Plaza at an affordable rental rate. He also did not spend much on renovation. In fact, he did not hire a contractor and almost everything was done with the help of his family. “My dad was practically my handyman. He would take charge of all the electrical works, drilling, painting and moving. I am grateful for all the support received from my family thus far. When I’m busy with school, my parents also helped to tend the store on my behalf,” he said. Norvan was also thankful to have received the government’s financial support. He received the Innovation and Capability Voucher (ICV) from SPRING Singapore to enhance his business capabilities. Valued at $5,000, the grant enabled him to get a Point-of-Sale (POS) system which had a built-in software to keep track of his sales and manage inventories. The establishment of the retail store also represented the brand’s turning point as Norvan decided to explore customisation of straps, sizes and colours. This was also when his longtime friend, 25-year-old Kelvin Tan, joined onboard as a business partner. He has been helping Norvan out since the “bazaar days” so the decision to tie-up was only natural. Business continued to progress as it did brand collaborations with local influencers. It also distributed its merchandise to various online and offline marketplaces such as Zalora, Shopee, Zilingo, Binge, Alcoholiday at Cineleisure, The Common Ground at Cathay, as well as a few other small stores. Brand awareness was at an all-time high, and the business did so well that over the past year, sales have increased three times on average a day. On a good month, the total revenue could hit a total of up to $60,000, shared Norvan. 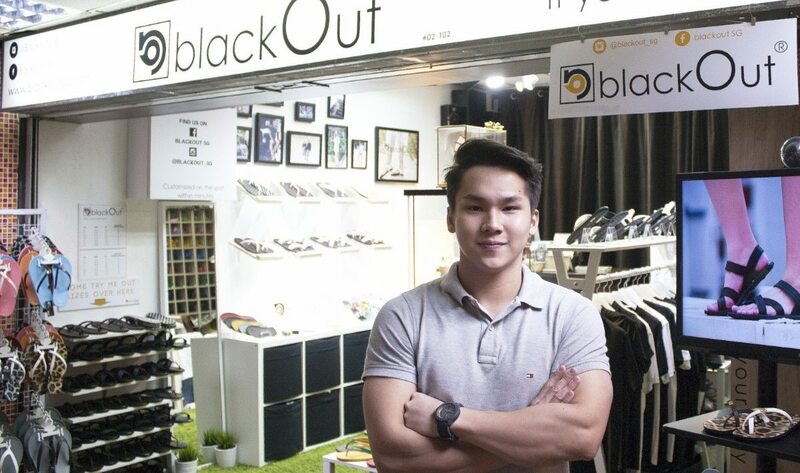 After a year of launching the store, Blackout SG shifted to a bigger space and expanded its product line to include apparels such as T-shirts and caps. It also opened an express store in Ang Mo Kio the same year. Following these successes, Norvan launched a hotline service whereby keen customers can call in to customise their orders, instead of having to visit their retail outlet. 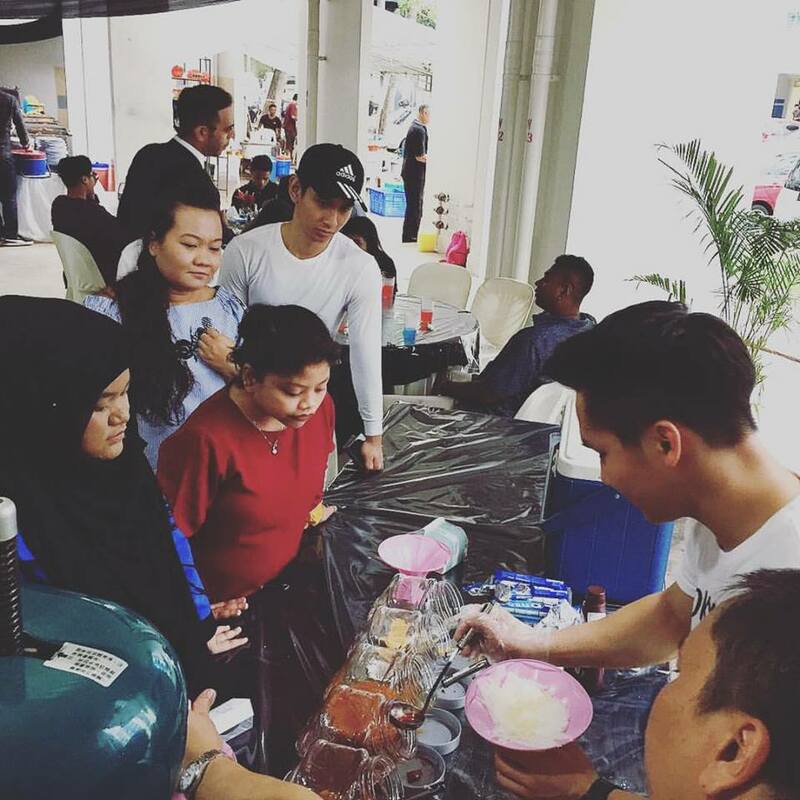 While running Blackout SG, Norvan and Kelvin started up Icy Treats Singapore, which caters Korean Bingsu (shaved ice dessert) for events such as weddings and birthday parties. This won’t be his last venture though, confessed Norvan. He has future plans to launch a skin care line for men as he feels that there is an existing gap in the local beauty market.